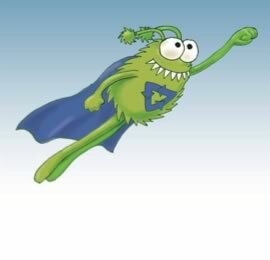 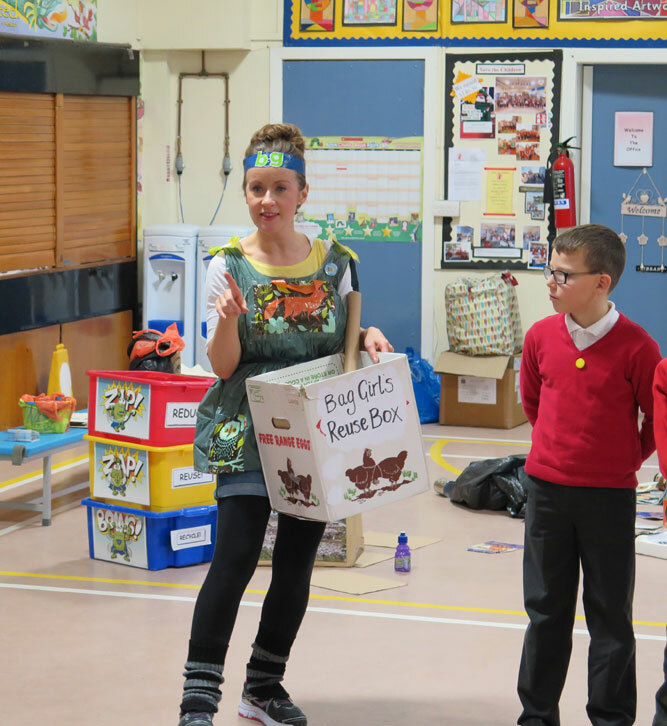 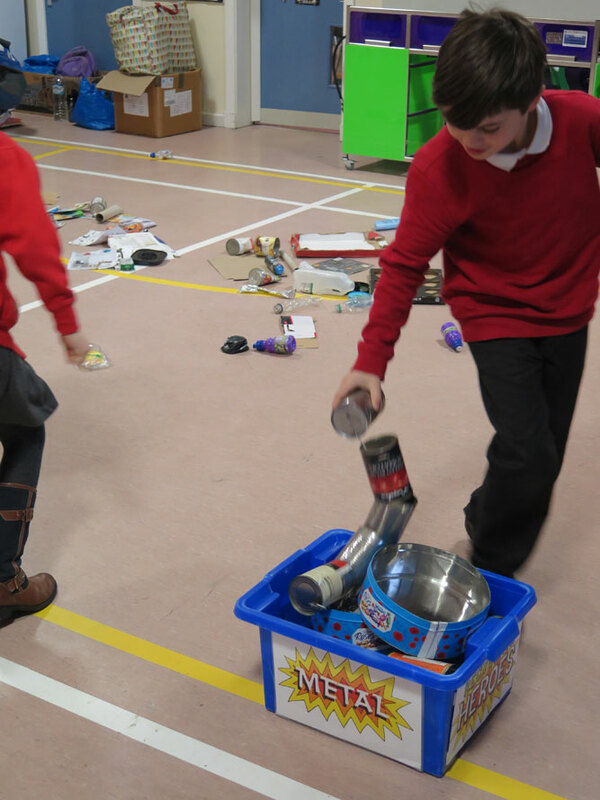 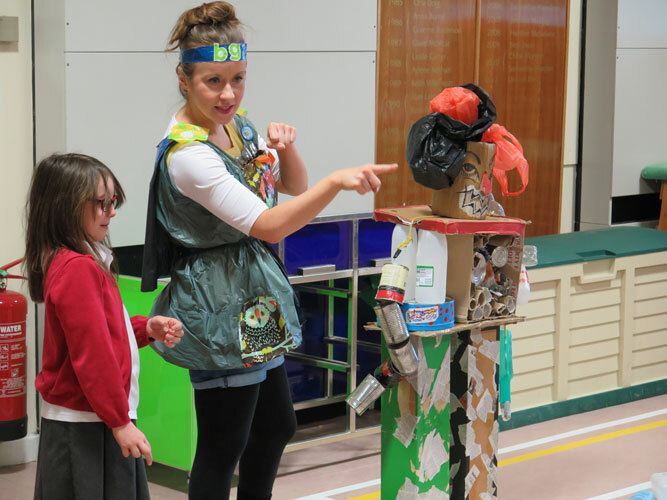 Recycling Heroes is an interactive creative learning experience written around the principles of Reduce, Reuse and Recycle. 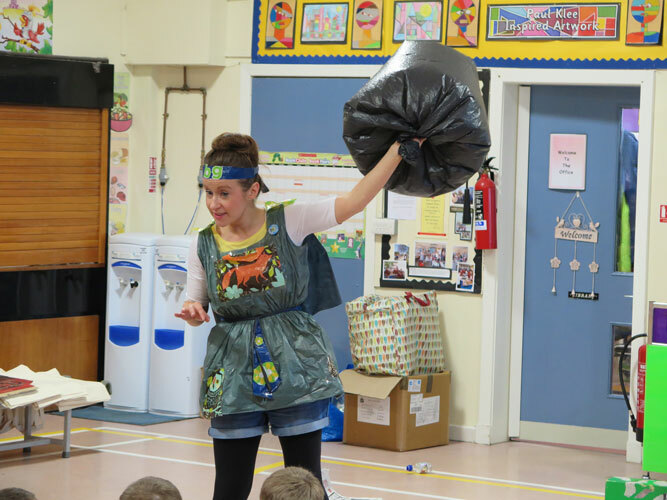 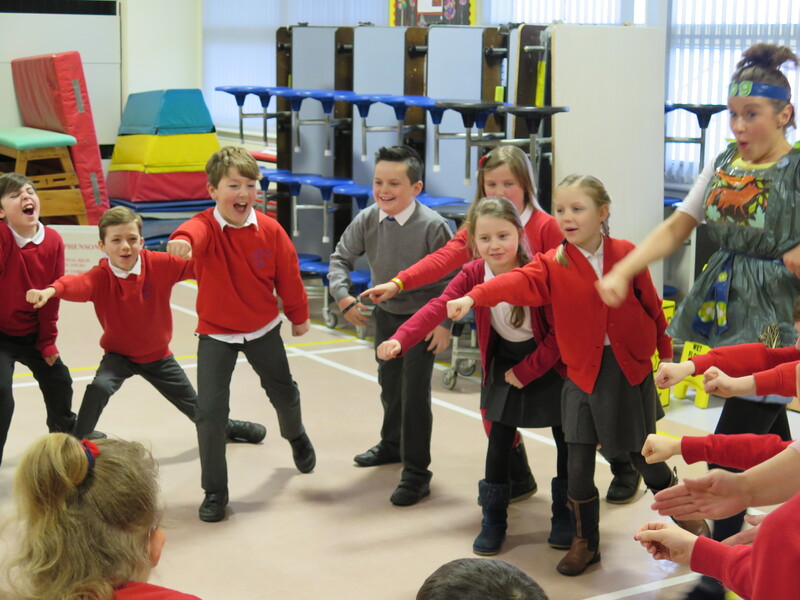 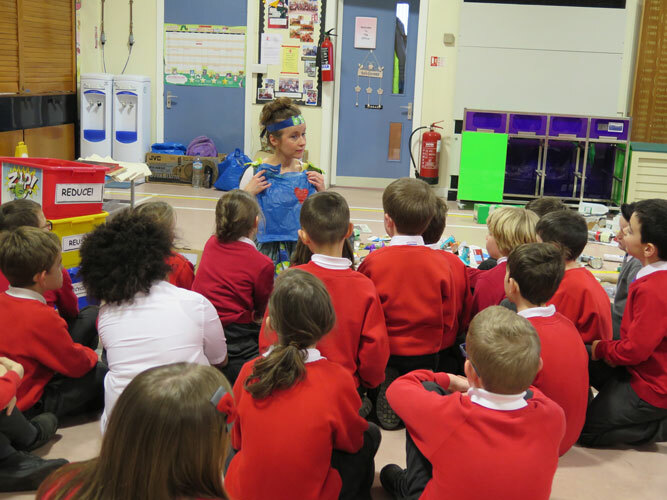 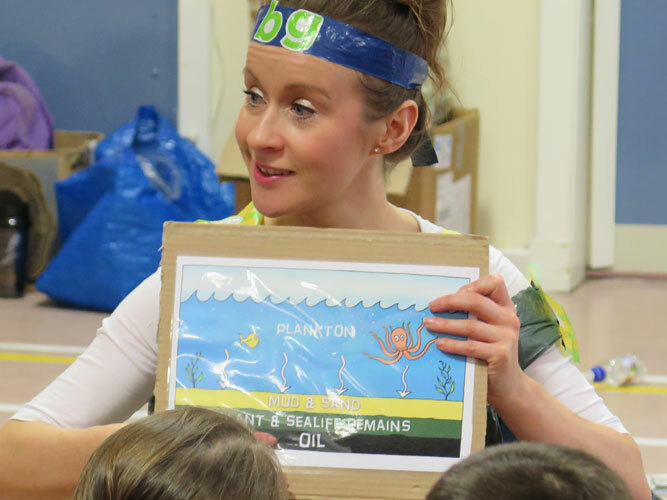 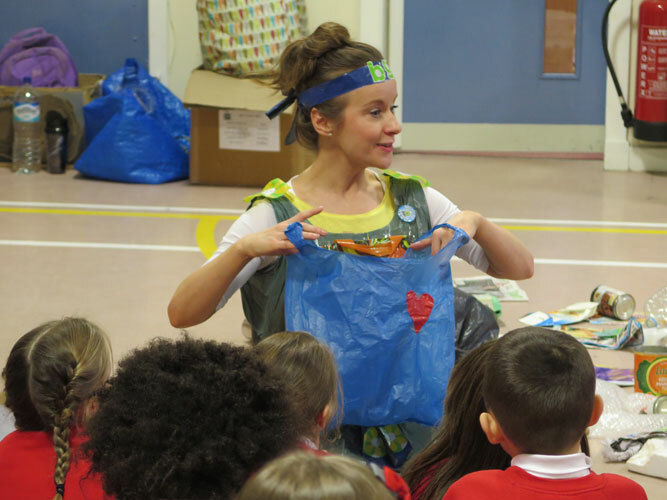 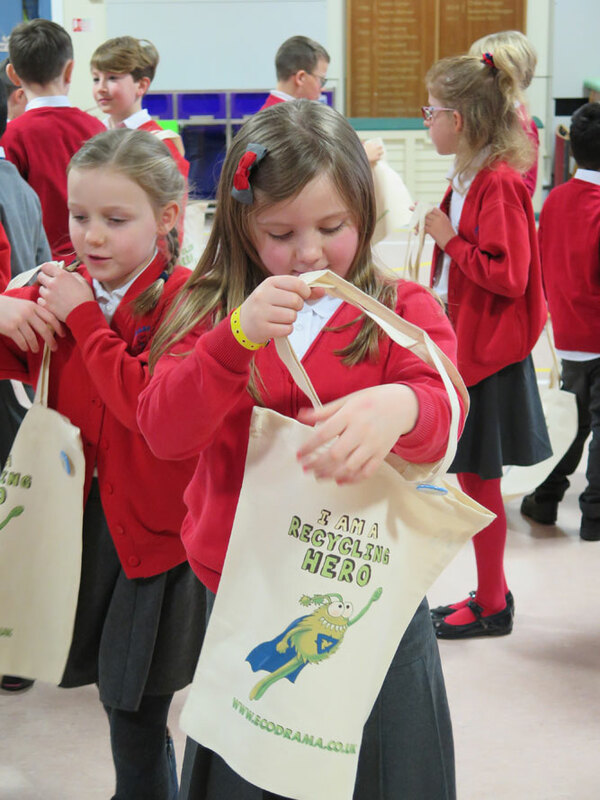 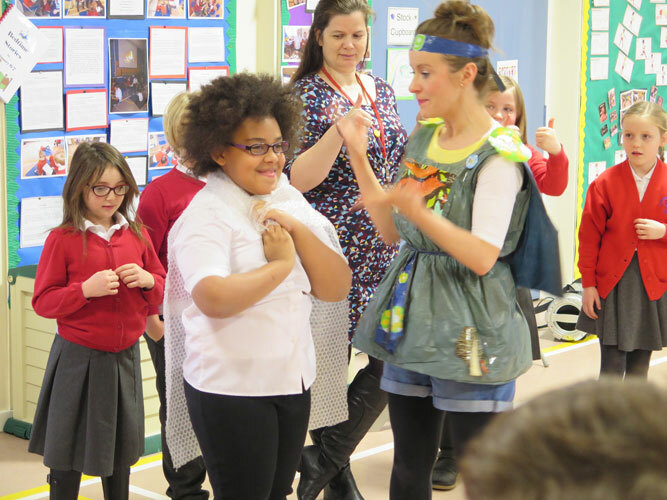 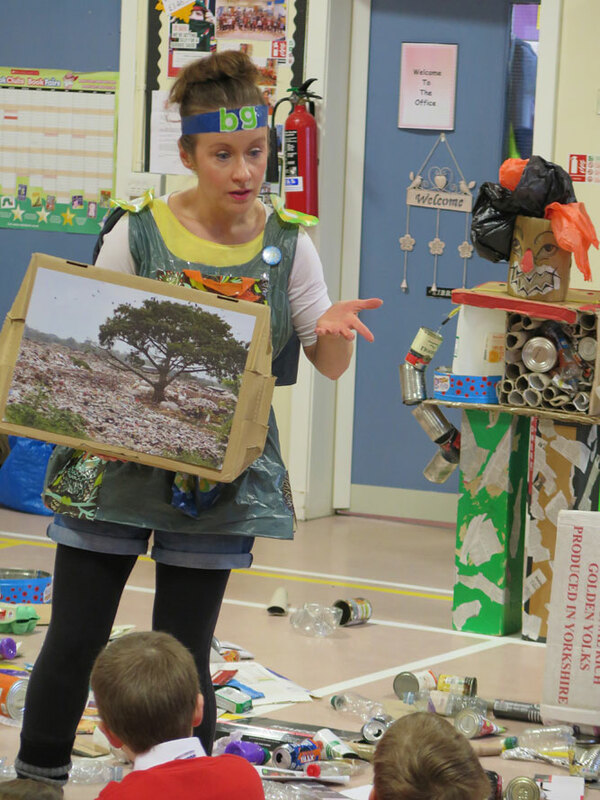 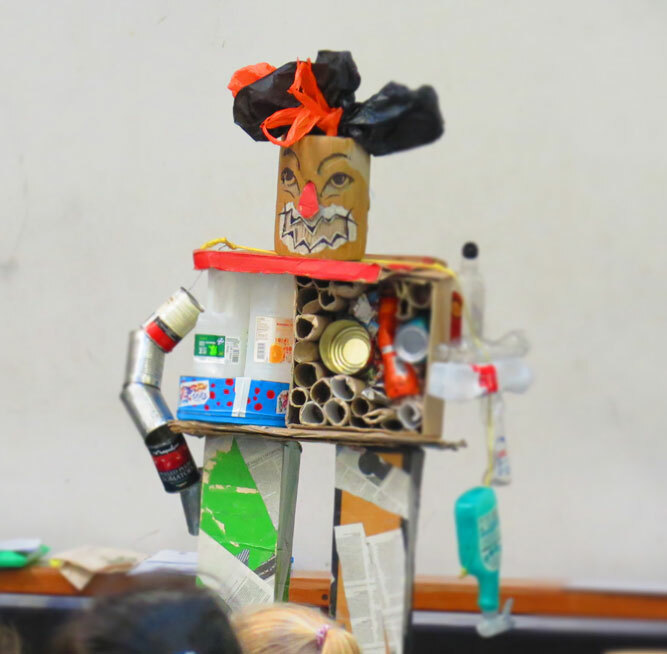 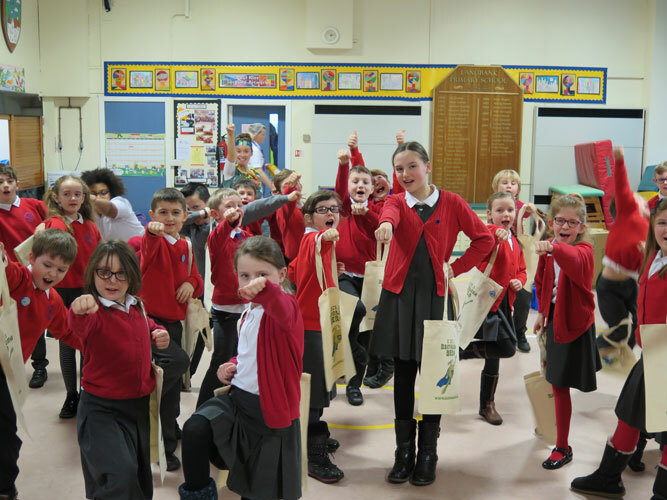 Through a fun and informative drama workshop led by the fearless Bag Girl, participants are encouraged to find their own inner recycling hero and rid the town of the menacing Rubbish Monsters! 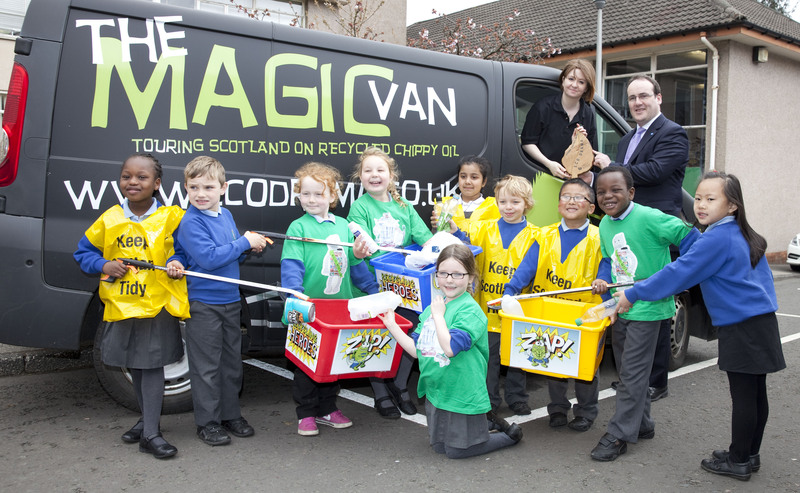 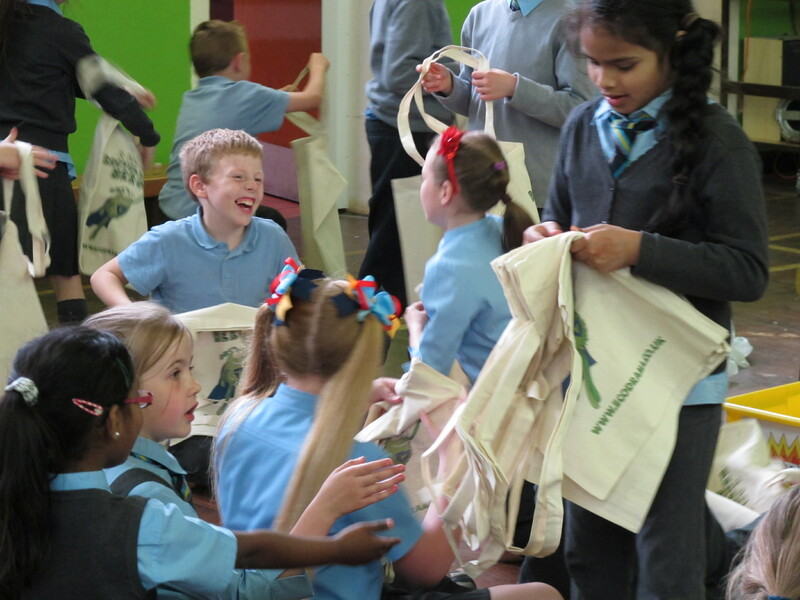 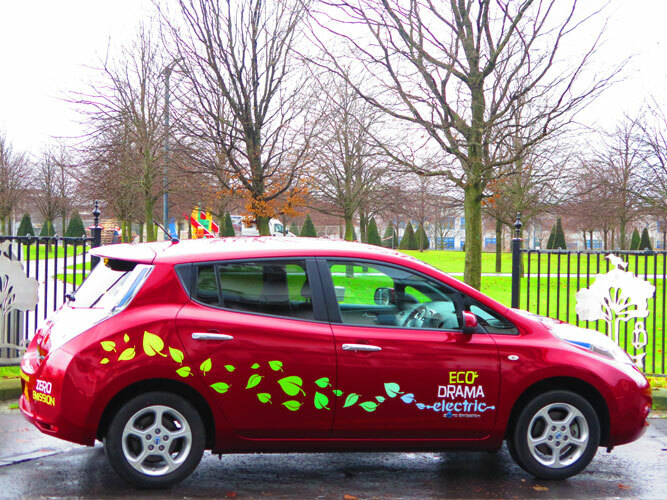 Bag Girl travels to schools and venues in a 100% electric car, inspiring children about greener modes of transport. 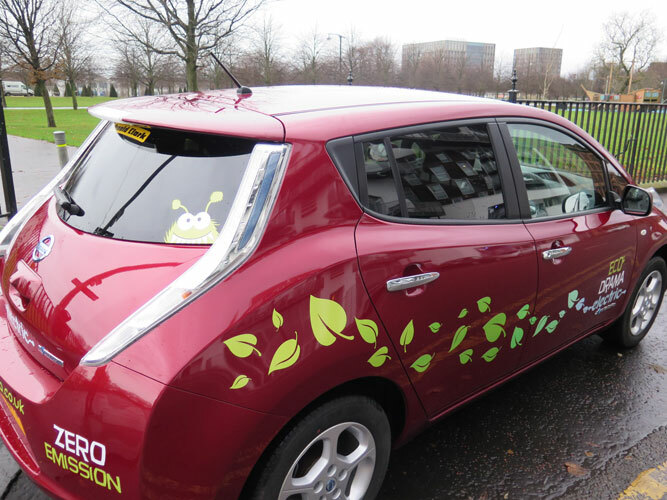 See Green Touring for more information. 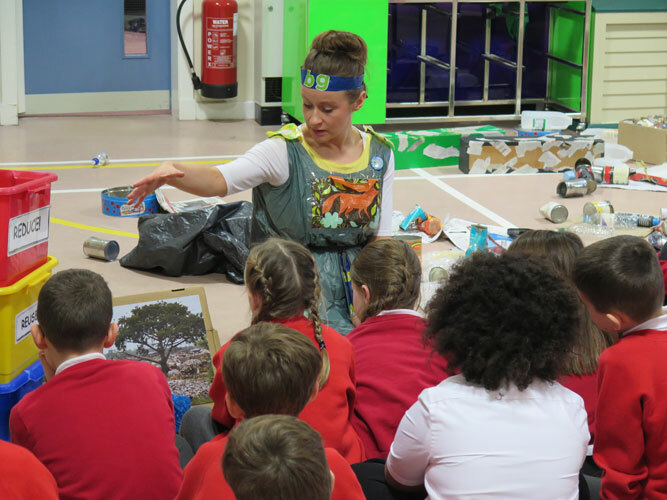 Touring nurseries, schools, festivals and community venues.